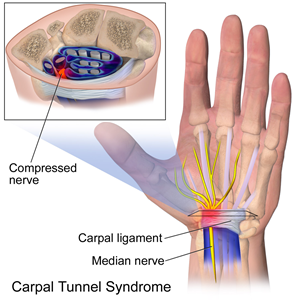 Carpal tunnel syndrome is the most common nerve compression and at any one point in time it impacts 3% of the population. Surgery for a carpal tunnel release is considered a gold standard in treatment and is performed when symptoms are severe enough to warrant surgical intervention. There are two main categories for types of carpal tunnel releases at this point in time. Carpal Tunnel Syndrome: What Do the Lumbricals Have to Do With It? At any one point in time, Carpal Tunnel Syndrome (CTS) affects 3% of the entire population. This figure does not include the individuals who have had CTS in the past and those who will get it in the future. Needless to say, CTS is common and impacts hand function for many individuals. 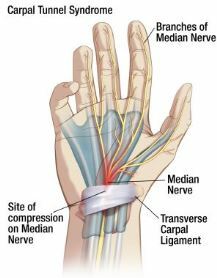 As we know, the carpal tunnel contains the flexor tendons and the median nerve. Of note is the fact that upon finger flexion, there is incursion of the lumbricals in the carpal tunnel and they have been found to have an impact on CTS.